From the Second World War to 1954 over 70,000 houses were built from asbestos in New South Wales alone, accounting for 52% of all houses built. In Australia as a whole, until the 1960s, at least 25% of all new housing was clad in asbestos cement. Asbestos products continued to be widely used in a range of building materials up until the mid to late 1980s. If a house was built during, or now renovated from, this period it would most likely contain some asbestos. Therefore before renovating, repairing and removing materials from a house built during this period it is very important to know how dangerous asbestos is and the precautions that you should take. The asbestosawareness.com.au website describes why asbestos is dangerous, where it can be found in the home, how to remove it safely, how to deal with it and how to disposing of it. A Healthy House Checklist - A homeowner’s guide to identifying asbestos-containing material to manage it safely. The searchable database on asbestos products. Total Property Checklist - To help determine if asbestos is likely to be present in a property. Think smart, think safe, think asbestosawareness.com.au. It’s not worth the risk! 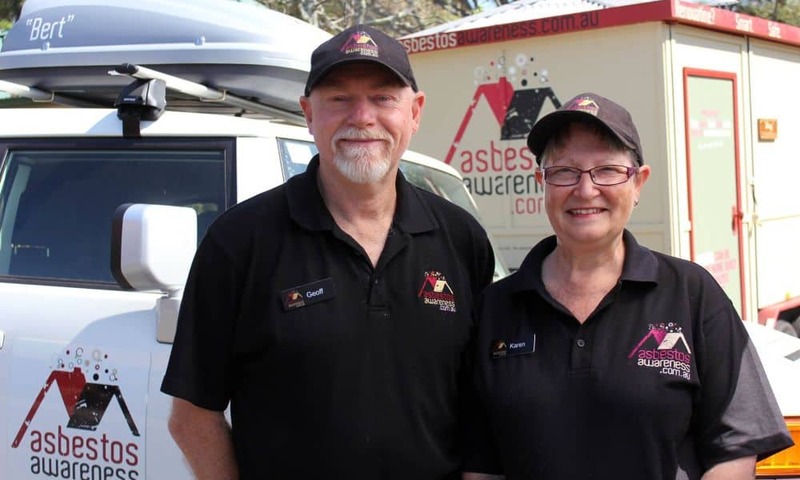 Betty the ADRI House is the first of her kind in Australia and the world and is a community engagement and experiential awareness initiative of the Asbestos Education Committee in partnership with ADRI. 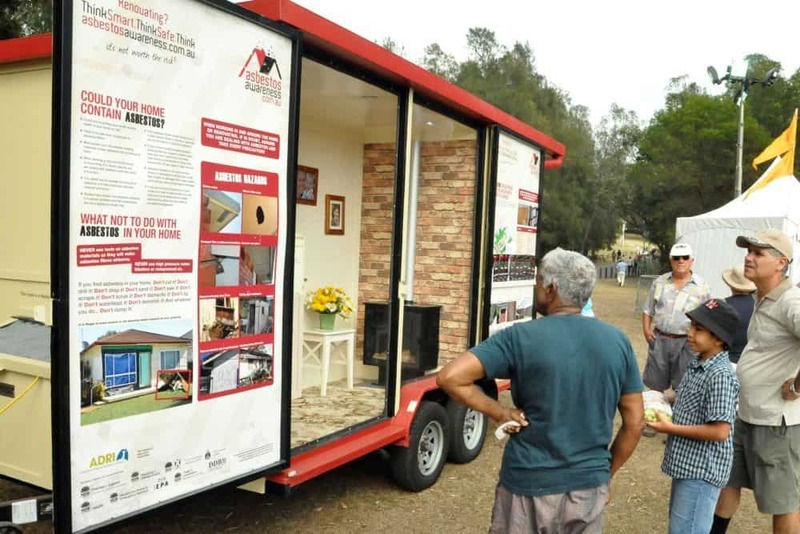 Betty is a purpose built mobile model home designed to demonstrate where asbestos might be found in and around any Australian home built or renovated before 1987. Her exterior resembles a typical fibro home but when opened up, she has extensive audio and visual information including a bathroom, kitchen, living room, shed/garage and dog house. Betty’s mission is to educate all Australian about the dangers of asbestos so they think smart, think safe, think abestosawareness.com.au because it’s not worth the risk! Her curators and chauffeurs, Geoff and Karen Wicks, are fully trained volunteers who enable Betty to educate the community as well as tend to her maintenance and upkeep. Geoff is a retired avionics engineer and avid DIYer! 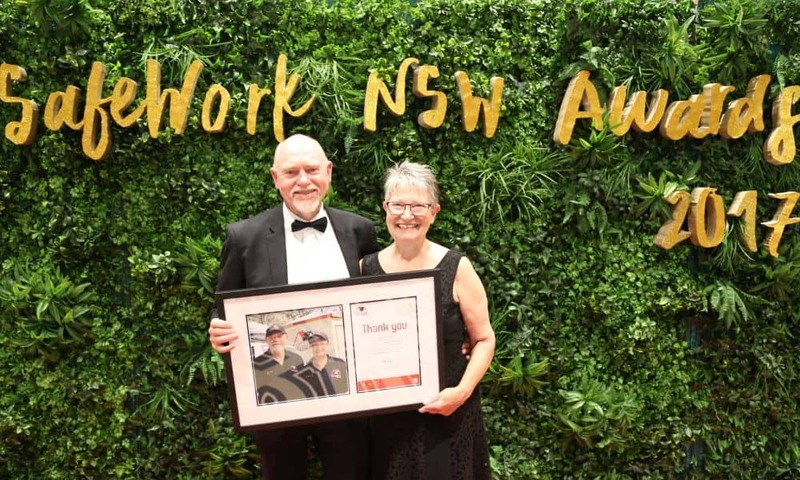 Karen and Geoff were recently recognised at the Safework NSW Awards 2017 for their tireless work, contribution and support over the past five years to the Asbestos Awareness Campaign. 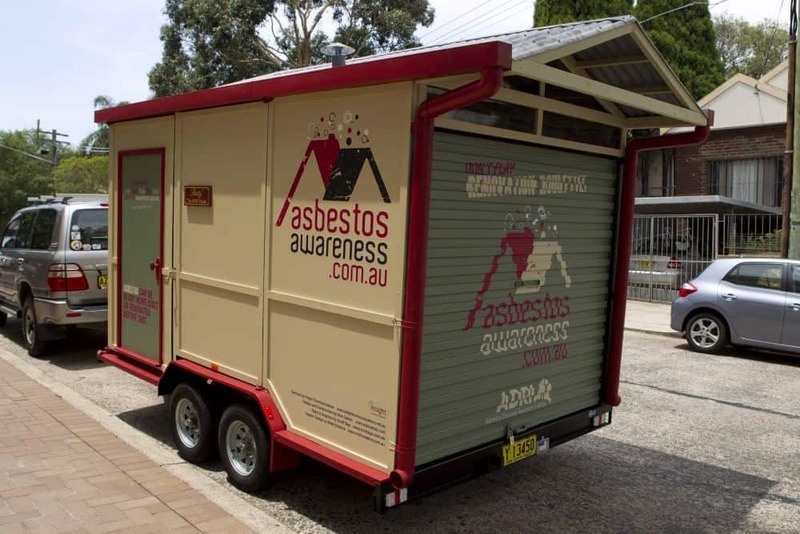 Betty travels all over Australia visiting primarily community events, council activities, DIY or renovation expos education Australians about the dangers of asbestos. Visit the Betty website or her Facebook page. A vital part of raising awareness of asbestos among communities is creating a forum for discussion. As part of the Asbestos Awareness Month (1-30 November) the Asbestos Awareness Campaign invites all Australians to hold a Blue Lamington Drive. The Blue Lamington’s bearing a colour similar to natural asbestos fibres are intended to raise awareness of the dangers of asbestos and to generate vital funds for ADRI and support grounds around Australia. Anyone can hold a Blue Lamington Drive at home, at work or at school. It is a fun and easy way to help raise awareness of the dangers of asbestos among colleagues, family, friends, neighbours, schools and the wider community. Donations will support vital research into asbestos-related diseases including mesothelioma.